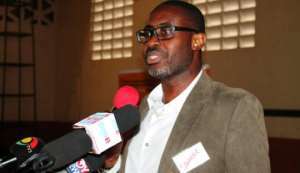 Free Senior High School (SHS) is great but apparently it's not really new, Mr Ace Ankomah, a legal practitioner and a leading member of the pressure group, Occupy Ghana, has said. He said some form of free education had being going on in Ghana for years; stating that once a person gains admission into a public secondary school or university, the government makes some subventions available to contribute to his/her education. Mr Ankomah made this known in his presentation at the Third Annual Public Lecture of the Rotary Club of Accra-West in Accra. 'In the course of meeting the vice chancellors, I discovered for the very first time that all of us who went to public universities in Ghana, except the fee paying people, were actually being looked after by the government. 'I found out that the number of students admitted into the public universities depends on how much money the government makes available. I did not know. And so, an aspect of paying free education has been going on in Ghana for a long time,' he added. He said this must be a great country where we spend money to educate young men and young women, and the day after they graduate, the look at the country and say this country is too awful and they jet off outside Ghana for better opportunities. 'This must be the only country on earth where we pay money to educate doctors and a day after their graduation, they say this country is too awful and so they leave'. He said even when people were admitted for Masters in Business Administration (MBA) programmes they were still on government subventions; asking that where on earth will you get MBA on government subvention? And even lawyers were being educated on government subvention. He said many who went to public SHS and universities were trained with the ordinary tax payer's money; stating that there was a certain charge that the people whose money was used to train you deserve some returns from you.